Our vision is to be the most trusted financial guardian to our investors, helping them achieve consistent outcomes and peace of mind on investment matters. 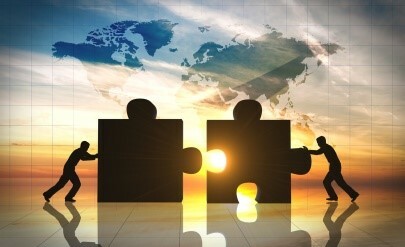 We evaluate potential portfolio companies based on certain criteria, including whether the companies: Are locally dominant or have the potential for local market leadership; have proven strong, reliable, professional local management; Are available at attractive valuations relative to global market comparable companies; and offer reasonable, tangible prospects for alternative exit scenarios after three to five years. Our investment process typically involves months of detailed due diligence, including getting to know the management team of a portfolio company. We seek contractual provisions for board representation, governance rights, and exit options. Our Investment Solutions offer companies an opportunity to invest in collective investment schemes that have the ability to perform better than cash without compromising the security or availability of assets. We manage the portfolios on a multi-manager basis, which means we spend our time evaluating and finding the best asset managers who in turn invest in a combination of high-yielding instruments. Our Investment process is hinged on a team-based philosophy. Each step is clearly documented and executed by a team of specialists ensuring continuity, process adherence and consistency. We continually strive to improve our approach through a disciplined process of development. 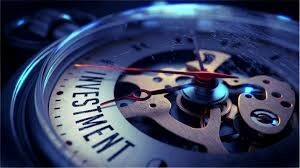 We exist to protect and grow our investors’ wealth by providing investment expertise when needed. In an industry fraught with risk, we are fanatical about guarding against unforeseen events, through our effective risk-management techniques, and by providing more consistent and predictable investment outcomes. Asset management is considered the fuel for any company`s growth and the systematic process of deploying, operating, maintaining, upgrading, and disposing of assets cost-effectively. The term is most commonly used in the financial world to describe people and companies that manage investments on behalf of others, it is a simple label used to describe money shortly before it changes hands in a purchase. We are capable of monitoring and maintaining the asset value to an entity or group applicable to both tangible assets such as buildings and to intangible concepts such as intellectual property and goodwill. We achieve the greatest return particularly useful for productive assets such as plant and equipment, and the process of monitoring and maintaining facilities systems, with the objective of providing the best possible service to users (appropriate for public infrastructure assets).